Passionate traveller? Love to capture the landscape or have a story and tips to share? Bridge of Memories provides a platform for you to put your content in front of a large audience. In your guest post written by you, we will include a link to your website and social media in each of the article we publish so readers can easily find you. Contributing guest posts will not only help you to reach a wider audience but also it will allow you to become a voice within travel community! Bridge of Memories is trying to share stories, practical tips and beautiful curated content to inspire travellers and give people a courage to go out and see the most of this beautiful world. 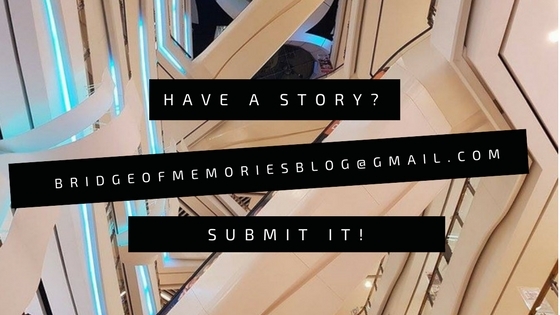 Hit me up on an email (bridgeofmemoriesblog@gmail.com) with your story to share! Submit only new and authentic content written by you for Bridge of Memories. Do not submit duplicate content as it may affect our site and your site on Google ranking. We will remove your article if we found out if is not original, duplicated or published elsewhere. Your article should have at least 1,000 words, including relevant titles. Feel free to include relevant links to hotels, restaurants, tourist attractions, shops etc. as long as it is not a sponsored affiliate link. Please bare in mind that Bridge of Memories has a worldwide audience. Hence don't push for one specific product/services available only in a certain area. Check your spelling and grammar before you submit. Bridge of Memories does not accept any review posts on a specific place, product or services. Bridge of Memories reserve the rights to make edits to your article to improve structure, language, links or images. Feel free to include any relevant images associated with your article. However, it should be either your own images taken or if it is an external image from Google search, add a source with it. By publishing your article to Bridge of Memories, you retain your rights to your media. Bridge of Memories does not pay for your contributors posts. We reserve the right to make edits to your article and / or to remove your article from our site at a future date should we see a reason to do so without notification. Bridge of Memories reserve the right to accept or decline your submission, depending on the suitability to the overall BoM content and audience. You may submit your article either via a submission form or email.